Mahi are rolling in at Ponce Inlet! Caught some small ones on a nice weed line. We ended pitching to them with spinning reels! Headed over to a nice ledge and limited out on the Vermilion snappers! Great fishing, great people! Great trip! A Floridian born and raised, Captain Dan comes from a family of fishermen and has been involved in fishing for as long as he can remember. 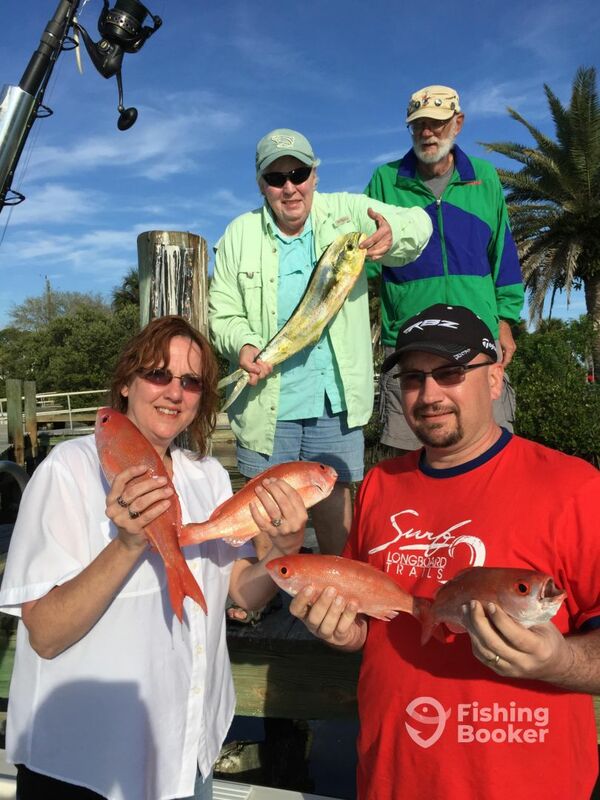 A member of the Florida Fishing Guides Association and US Coast Guard licensed charter fishing captain, he has more than 25 years of experience with fishing on Florida's east coast. He is a devoted offshore fisherman and a big fan of bottom fishing and trolling. Ponce inlet is loaded with snook and reds right now! Live bait will do the trick!